Egyptian protesters set a car on fire, erected barricades, and threw Molotov cocktails at officers outside the US Embassy in Cairo on Thursday. 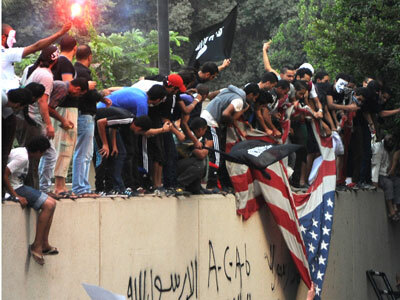 Security forces formed a ring around the embassy and threw stones at demonstrators. Earlier in the day, police fired tear gas and warning shots at the crowd. 224 demonstrators were injured and at least 12 others arrested. Tensions continue to mount, as a crowd of protesters attempting to enter the compound are continuously repelled by police. On Wednesday, several hundred protesters rallied in front of the embassy, chanting “leave Egypt” and demanding that the US apologize for an American-made film that mocks Islam’s Prophet Muhammad. Dozens of riot police were then deployed in the area to contain the demonstrators and divert them into side streets. Clashes continued into the night, with protesters throwing stones and Molotov cocktails at police. Some of the protesters were injured, state news agency MENA reported. Witnesses wrote on Twitter that as many as several dozen people may have been injured. At least six police officers suffered injuries during the clashes, said Alla Mahmoud, a spokesperson for Egypt's Interior Ministry. Four participants in Tuesday's demonstration who scaled the embassy wall were arrested and transferred to the prosecutor's office. Police are still searching for others involved in the incident. 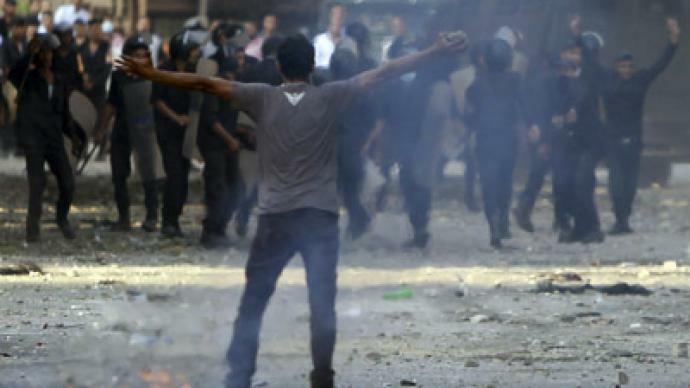 The now-notorious movie 'Innocence of Muslims' has sparked a wave of similar protests across the Arab world. On Tuesday, armed militants attacked the US Consulate in Benghazi, Libya, killing the ambassador and three other diplomatic staffers. President Barack Obama strongly condemned the killings, pledging that the US would be “relentless” in its pursuit of the attackers. 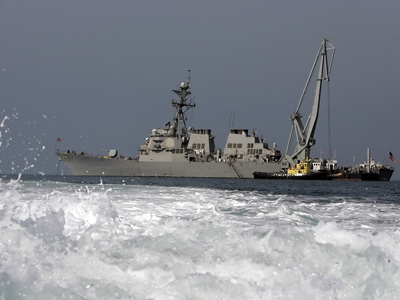 Following the incident, the US military deployed two warships to the coast of Libya and sent a team of some 50 Marines to the country to reinforce security at American diplomatic facilities. Egyptian President Mohamed Morsi vowed not to tolerate attacks on diplomatic missions, and said that Egyptians reject such unlawful acts, the AP reported.